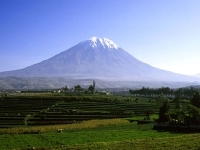 and with some top destinies like the deepest canyon in the world, one of the highestes railways in the world, Lake Titicaca; the world's highest commercially navigable lake on the frontier with Bolivia at 3812 m (12507 ft). Machu Picchu that is now one of the new seven wonders of the world, Cusco; the archaeological capital from the Americas and once the old Inca Capital when it was called the navel of the World, the highest density of bird species in the Reservate of Manu, the greatest concentration of ecosystems; from the most arid deserts on the planet on the Pacific coast to snow capped peaks of the Andes, forest clad mountainsides on the eastern Andes and tropical rain forests of the Amazon in the lowlands. 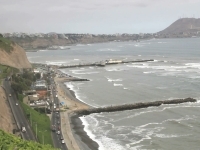 And not to forget the beaches and the sea with an incredible variety of fish thanks to Humboldt Current near the coast of Peru. 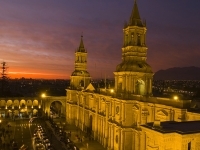 Just to mention in a few words what Peru has to offer you! 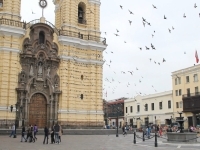 We want to give you here information about different travel opportunities; great short tours, adventure tours, mystery and spiritual tours, walking tours, luxury tours, budget tours and special subjects tours as bird watching and other possiblities for great Peru vacations! 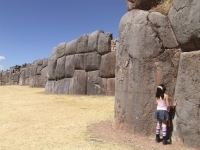 We will share Peru travel tips with you so your Peruvian holidays will be an unforgettable experience. 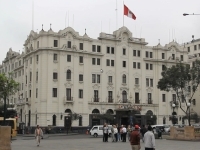 To give you a good impression on the country we will give you some Peru facts, Info about Peru's history, Peru maps and information on how to travel. 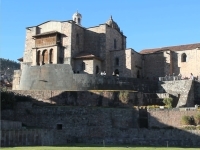 Archeological capital of the Americas and the former Inca Capital Cusco (or Cuzco). 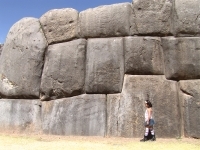 You will find amazing stonework in this beautiful town, happily enough there is still much to see of what was once the centre of a great empire.You will be able to see amazing precise and enormous stonewalls in Sacsayhuaman of which we still do not know how and when exactly they have been made, this is just above Cusco, and other vestiges that can be visited from Cusco in for example the Sacred Valley of the Incas. 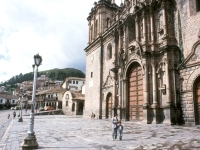 Cusco is also the starting point for your train trip to Machu Picchu, or for the Inca trail if you prefer to walk to Machu Picchu through the great sceneries of the Andes highlands. 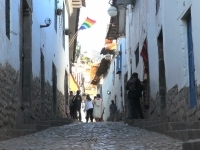 Cusco is also an excelent base for other activites like adventure tourism, other trails less crowded than the Inca trail, excursions to the jungle, and the city itself has an enormous amount of restaurants. pubs and café's. Altogether it is one of the most attractive cities in the World. 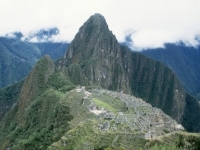 Machu Picchu has been declared one of the new seven world wonders. It's beautiful settings and the amazing stonework, makes it a unique experience to be there. 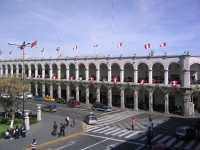 It is the top destiny of Peru. 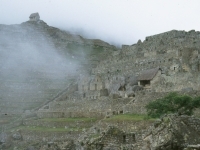 You can go there by train or walking the inca trailor the alternative Salkantay trail. 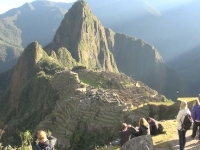 For more about Machu Picchu, with pictures and videos, click here. but remember, there is no such thing as the real thing! 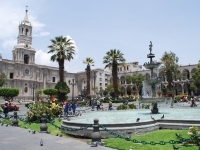 Arequipa, the White City, is the second city of Peru, at more than 2000 meters above sea level in the southern Andes region, jus below the Volcano 'El Misti'. 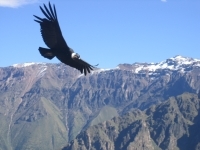 You'll find impressing colonial architecture and from here you can make excursions to the deeperst canyon of the World, the Colca canyon. The jungle. 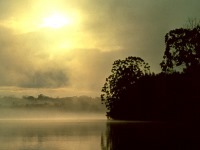 Peru consist for the biggest part of jungle, mainly inhabited, with Reservates as Manu where we find enormnous amounts of wild life with many unique species. 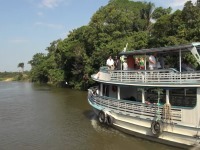 In the north we have the city of Iquitos, from where you can make tours on the Amazon river and to jungle lodges. 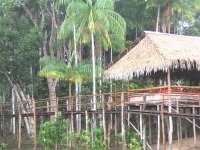 The southern part of the jungle can be reached flying to Puerto Maldonado, or by car parting from Cusco. The Coast. 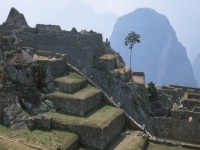 Peru has a long and narrow coastline that goes from North to South, separating the Andes from the Pacific ocean. 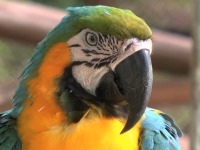 This aerea is mainly desert, with green oases where rivers flow from the Andes towards the ocean. 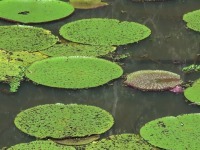 Here we find large aereas of rice, cotton and asparagus for example. 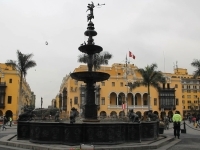 The Capital Lima is located here, as are other big cities like Trujillo, Chiclayo, Piura and Tumbez. 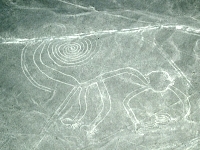 There are splendid beaches, large amounts of pyramids and the rest of ancient cultures as the Moches, Lambayeque and Chimu cultures in the North, with main archaeological sites in Chiclayo and Trujillo. 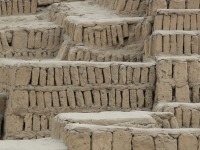 Only a few years ago, just north of Lima, the supposed most ancient city of the American continent was discovered: Caral. It is possible now to visit this city as a tourist. 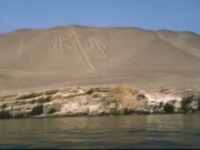 Worth mentioning apart, is the region of Paracas, Ica and Nazca, on the coast south from Lima. 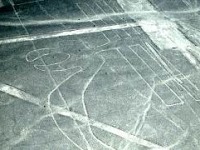 Nazca is famous for the Nazca lines, enormous figures and lines made in the desert that can only be recognized from above and of which it is still unclear what was there function and when and who made them. 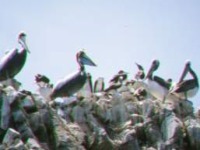 Paracas is famous for the Ballestas Islands just near the coast, where many species of birds and other sealife can be found, worth to make an excursion by boat to visit the islands. 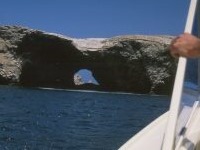 On the way to the islands we find the famous Candelabro, a big tree like form made in the sandstone of unknown origin. The whole aerea is scattered with ancient rests of giant marine life like whales and sharks, but also rests of ancient people, strange elongated skulls are still found in those areas and they are a complete mystery.